The Florida Gambling Law is Florida Statute 849.08. Under this Florida Gambling law, Jacksonville Gambling occurs when the defendant engages in a game of chance (such as, cards, keno, roulette, of faro) for money or something else of value. In Jacksonville, Gambling is a second degree misdemeanor, so it is punishable by up to 60 days in the Duval County Jail. If you have been charged with Gambling in Jacksonville, Florida or the surrounding counties, contact a Jacksonville Florida Gambling Attorney. 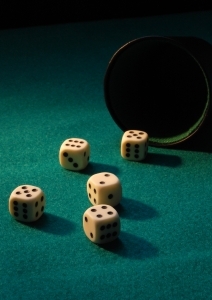 A Jacksonville Florida Gambling Lawyer will investigate your case and advise you further. Call a Jacksonville Criminal Defense Lawyer at 20 Miles Law. You can contact a Jacksonville Criminal Defense Attorney at (904) 564-2525 or by email.